Learn how to move your body correctly to fix current injuries and prevent future ones. At the Koppele Method you will NEVER find a one size fits all approach, even when clients have the same exact injury. Meghann has been working for years as people's last resort before surgery and has countless success stories. From learning to walk after a traumatic brain injury to getting back to playing golf 3 days a week after multiple spinal surgeries. 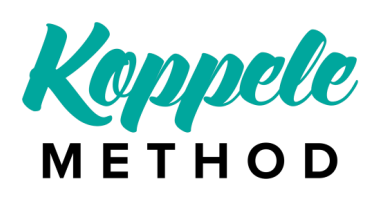 Your goals may be different but the Koppele Method's stays the same...helping clients reach theirs. Stop living in pain and let Meghann or one of her highly trained staff members help. In the first session you can expect: 1) A full body movement assessment, 2) A long term treatment plan, 3) Short term objectives, & 4) Homework exercises. Sign up for a session with Meghann today. Not in NJ or NYC, Meghann does traveling assessments and finds the most qualified teacher in your area to help you execute the treatment plan. Please email Meghann to inquire about an In-Home Evaluation or Session. Prices are based off travel time.